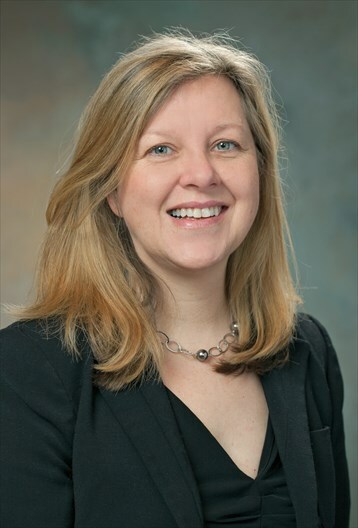 Immunotherapy continues to advance the care of patients with head and neck cancer, with researchers now exploring combining these therapies together, as well as adding immunotherapy to standard approaches, explains Barbara A. Burtness, MD. For example, the ongoing phase III CheckMate-651 trial is investigating the combination of nivolumab (Opdivo) plus ipilimumab (Yervoy) versus standard of care as a first-line treatment for an estimated 490 patients with recurrent or metastatic squamous cell carcinoma of the head and neck (NCT02741570). The primary endpoints of the study are overall survival and progression-free survival. In an interview with OncLive, Burtness, a professor of medicine at Yale Cancer Center, discussed the current role of immunotherapy in head and neck cancer and potential combination regimens on the horizon. OncLive: What is the current role of immunotherapy in head and neck cancer? Burtness: Immunotherapy has made a change in the management of patients with metastatic and recurrent head and neck cancer. For patients who have been previously exposed to platinum therapy, either nivolumab or pembrolizumab (Keytruda) has been shown to be an appropriate drug that leads to responses—some of which are durable responses. What promising combinations are currently being investigated that include immunotherapy? There are a couple of different approaches to combination therapy. One is to try to integrate immunotherapy with standard treatment approaches. In head and neck cancer, chemoradiation or chemotherapy and cetuximab (Erbitux) for metastatic recurrent disease do have an impact; they lead to responses and they improve survival. One strategy is to attempt to build on the anticancer effectiveness of existing therapies by adding immunotherapy. The other strategy is to prime the immune system better. We are seeing combinations of PD-1 or PD-L1 inhibitors together with CTLA-4 inhibitors in large phase III trials that have been conducted to look at those questions. We don’t have the answers to those yet. The last thing that researchers are doing is looking at novel immunotherapies in combination with PD-1 inhibitors. In head and neck cancer, one that we are quite interested in now is epacadostat. We are very interested in the role of immunotherapy in patients with radioresistance. When you take a patient with locally advanced disease, whether they have HPV-negative or HPV-positive disease, you can generally expect a complete response following the conclusion of chemoradiation. If a patient has persistent disease, the accepted approach has been to take that patient to a salvage operation, with the recognition that this patient has a very high risk for recurrence. On an investigator-initiated trial that we have ongoing at Yale Cancer Center, Dr Zain A Husain is the principal investigator. We are taking patients who have persistent disease after radiation that is proven by biopsy; rather than taking them straight to surgery, we are exposing them to pembrolizumab (Keytruda) with the hope that we can initiate an immune response against the cancer prior to taking them to salvage therapy. What are the biggest challenges still facing the treatment landscape of head and neck cancer? Conversely, have we turned our back on targeted therapy that is not directed against the immune system? The experience with the NCI-MATCH trial and other approaches to targeting drivers in head and neck cancer has been disappointing because so many of these patients have mutations of tumor suppressor genes.